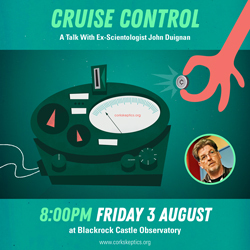 Our next meeting takes place on Friday 2nd March, at Blackrock Castle Observatory, starting at 8.00pm. The talk is by author Ronald Green, and promises to be a very interesting discussion all about…nothing! Who, for example, could have believed that nothing held back progress for 600 years in the Middle Ages, all because of mistaken translation, or that nothing is a way to tackle (and answer) the perennial question “what is art?”? Ronald Green uses nothing in a genuine attempt to look at the world in a different way, to give new angles to old problems and so to stimulate new thoughts. 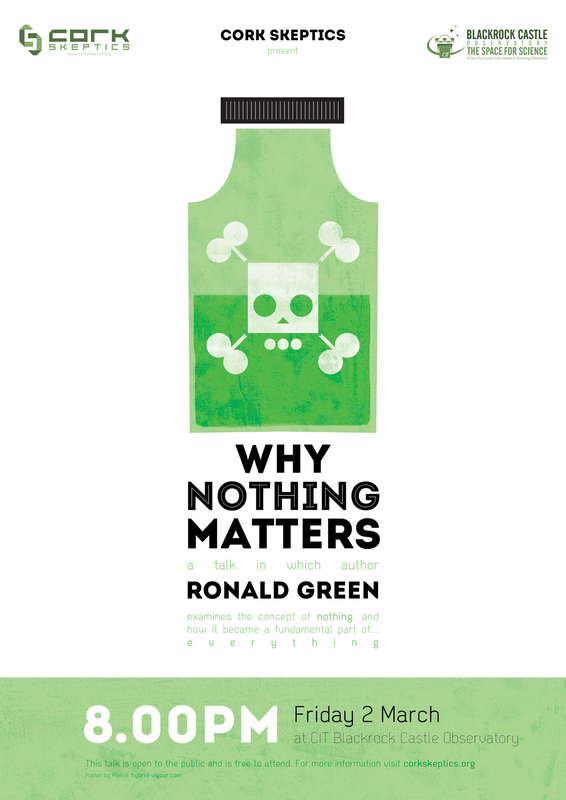 About The Speaker: Ronald Green is the author of “Nothing Matters – a book about nothing” (iff-Books). Philosopher, linguist, university lecturer and ESL teacher, with 13 ESL books published, Ronald has lectured and given workshops in Europe, North and South America and the Middle East on linguistics, ESL and the use of the Internet in education. His short stories have been published in Nuvein magazine, Tryst, Aesthetica, the Sink and Unholy Biscuit. He has completed a philosophical novel and co-authored a psychological thriller with strong philosophical underpinnings. For the past five years he has been thinking seriously about nothing, culminating in his recently-published book. Categories: Books, Events, Science, Skeptics In The Castle | Tags: book, nothing, philosophy, ronald green, science, skeptic, skeptics in the pub | Permalink.